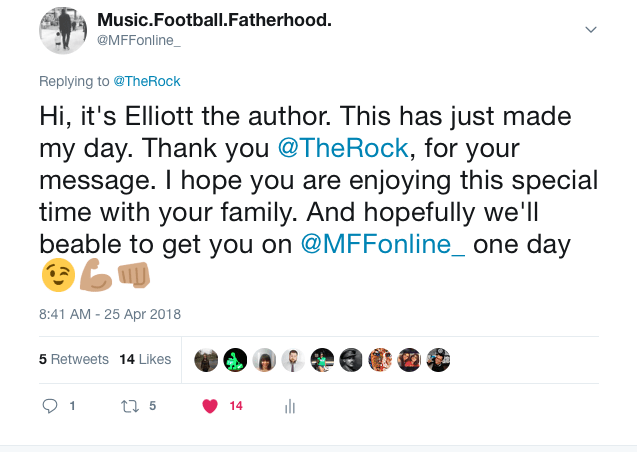 When The Rock shares your Independent article on Twitter! You never know what can happen in this world. I truly believe that absolutely anything is possible when you speak your truth and put it out into the world. And if I had any doubts before, this week gave me confirmation that it’s 100% true. So this week started off fairly normal, busy as usual and lots of exciting meetings but nothing out of the ordinary. Tuesday morning came and I was minding my own business and getting on with my day. 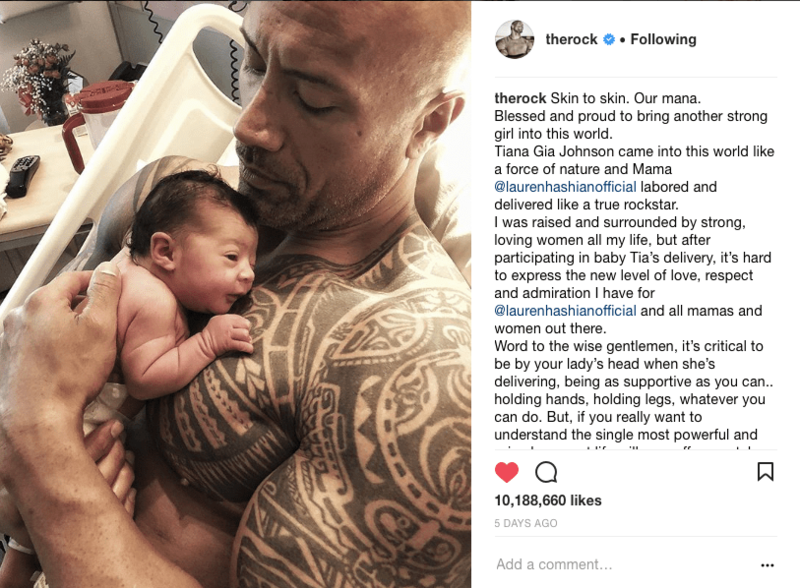 And then I received an email from the editors at The Independent asking me if I wanted to respond to The Rock’s instagram post about the birth of his daughter. My first Independent article was a pitch so I was delighted that they were so pleased with it that they commissioned me to write for them again. I read The Rock’s Instagram post and it really resonated with me so it wasn’t difficult to write the piece. Those of you working in the media will know that the deadlines are tight, I had 3 hours to submit my article. I wrote the piece in about 10 minutes, asked my wife to check it over and I then emailed it over to the editors. They published it at around 6pm and that evening I went to a book launch with my sister and had a glass of wine to celebrate! At this point I was very happy, being published in the Independent twice is a great achievement, it’s great exposure for MFF and spreads our message even further. What more could I wish for? Happy days. And then ish got real. I woke up on Wednesday morning and made my porridge for breakfast like I usually do. 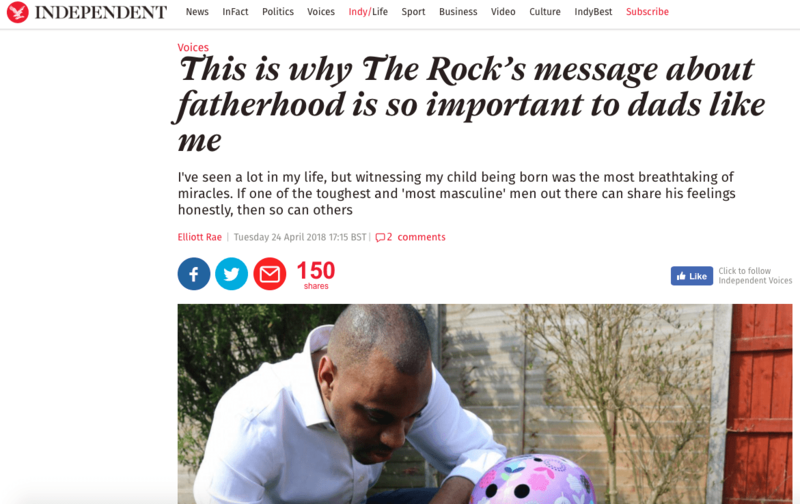 I started checking my phone to see what the response was like from the article when I received a DM from The Independent saying The Rock had shared my piece on Twitter. And not only did he share it, he actually wrote a nice response back to me! I couldn’t actually believe it! Last year was a massive year for us. 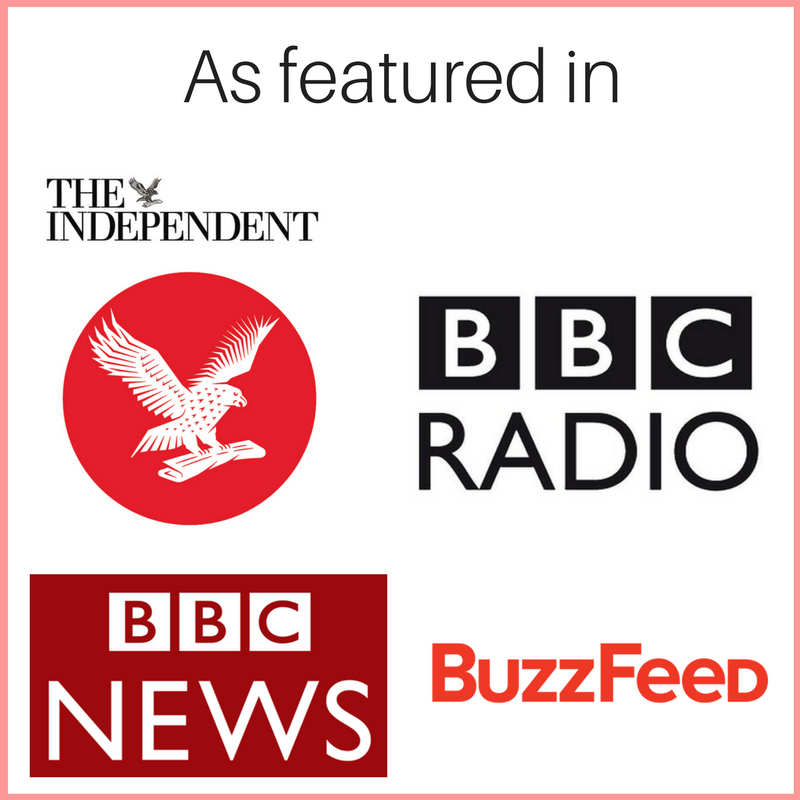 My first Independent piece went viral and we had a feature on the BBC homepage aswell as lots of other pieces of high profile media coverage. 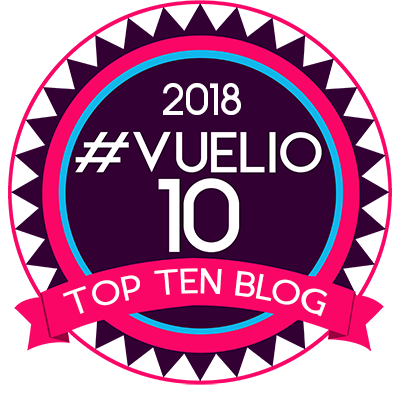 I didn’t think (and genuinely wasn’t planning) to try and top that this year, my plan was to just get on with building the site, going back to basics and work to produce great quality and consistent content. But God clearly had other plans. When I woke up on Tuesday there is NO WAY I would have believed you if you would have told me that in 24 hours I would have another Independent article published and it would be read and shared by The Rock. When I say there is no way I would have believed you, I truly mean that. I mean, who would, it’s crazy right?! The Rock is a genuine superstar. He has 12.9 million Twitter followers and 104m Instagram followers for crying out loud. He’s kinda a big deal. But as I said at the beginning of this piece, anything is possible. When you find your true purpose, work hard, are creative in your approach and speak your truth the universe will conspire to make amazing things happen. Trust me. 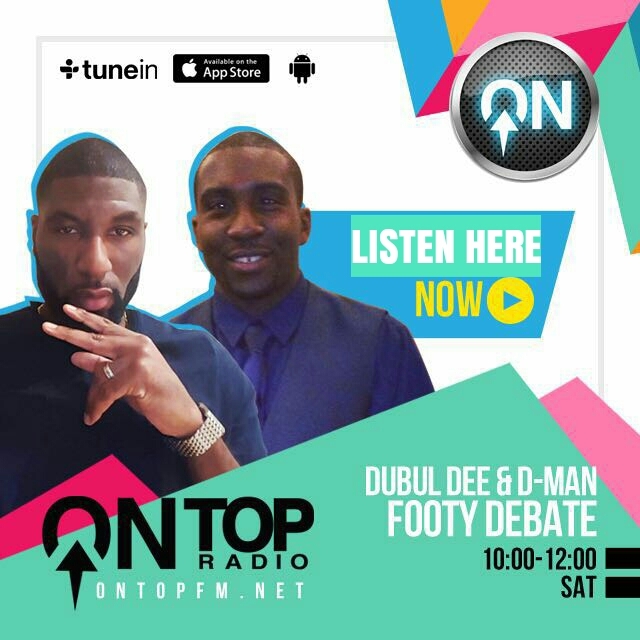 So now my plan is to get him on the podcast we are launching. Anything is possible right?! And I’m so glad that underneath all of this is some beautiful messages around fatherhood. 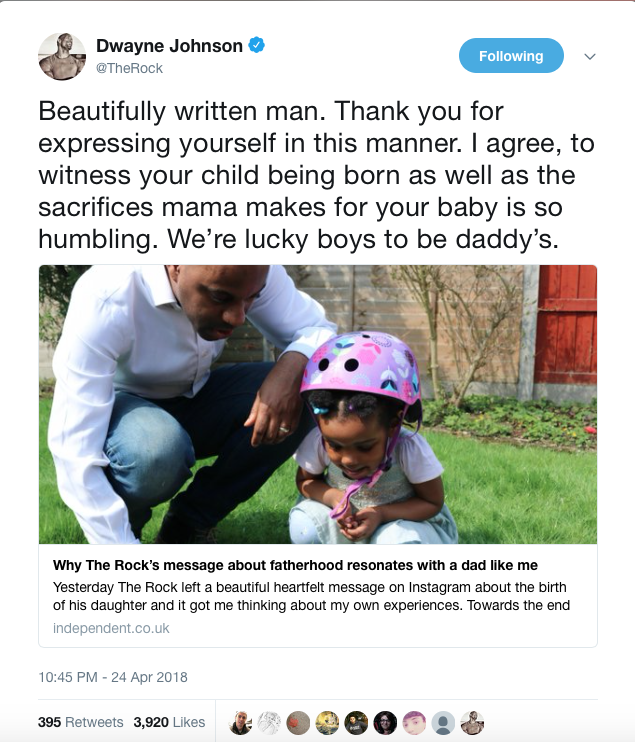 What The Rock posted on Insta was amazing and like I said in my article, it will encourage others to also share their experiences and that is what MFF is all about, a safe space for the modern father. Read The Independent article here. ← Previous Previous post: Would you be comfortable discussing periods with your daughter?